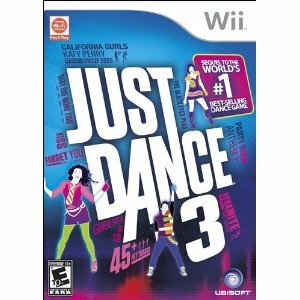 Just Dance 3 – As Seen On the Ellen Show for Nintendo Wii, Playstation 3, and Xbox 360. Did anyone happen to see them doing this game on Ellen with Andy and Melanie Woods? Looks like a lot of fun! « New Coupons: Pillsbury, Minute Maid, DVD’s. & More! I wish they would have had this fun game when we were kids. We would have loved it !